Free August 1st through August 5th. I pre back to school gift. Previous When being frugal gets old. Next Recreating yourself as a writer. How can I read your book? I have a lot of them on amazon. Do you want the Kate Singh or the Katherine R. Devereux? 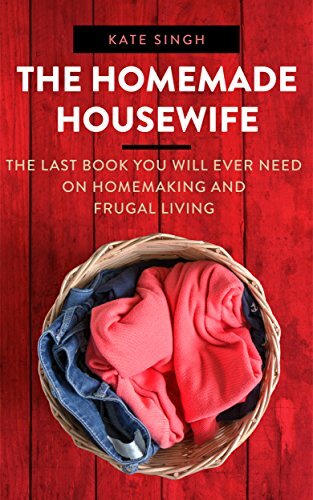 If you are talking about the free Homemade Housewife just go on amazon. Did you get it? It’s on Amazon or you just click on the link on my write up. I’m not sure how you get it for free, I’m so sorry, I never do ebooks…isn’t that ironic?! Yay! Yes, I’m different. I’m not fancy like the other blogs but I am fun and give some good advice. Nothing is really original though, it’s all been done by our great grandmothers.